Seven home matches and seven wins for the first team. Like several of the previous six, it wasn't a consistently strong Seaford display. In the attacking third, there was some beautifully co-ordinated one-touch play, which ought to have delivered a more comfortable win than it did. But some cavalier and wayward defending might have cost the home side, and but for a number of missed sitters, CY might well have got something out of the game. After a scrappy opening, Seaford took control of the game as the first half wore on. A defensive injury crisis had forced skipper Michael O'Neill to be redeployed at centre half, and his replacement in midfield, Piers Shelton, impressed with his energy off the ball and vision on it. He released Daz Connolly into the left-sided channel, and the Louth man deftly spun away from his marker before driving a shot just wide. Later, visiting keeper Rory Gallagher sped off his line to deny Rory O'Huiginn, moments before Shelton's left footed shot clipped the top of the bar. But it was Seaford's striker Collie Dolan who looked most likely to elevate the match above the muddy drudgery that characterised the first period. His balletic twists and mesmerising footwork drew a series of fouls from the Terenure defence - but critically not on 27 minutes when he sped past two opponents in the box. Shunted by the first and clipped by the second, referee, he fell to the floor Sean Slattery fleetingly put his whistle to his lips, only to change his mind and instead award Dolan a booking for his complaints. At the other end, Terenure's only chances of note were both, bizarrely, laid on by errors by Seaford's winger Connolly. First, Eoin English blocked Rory Hughes's low shot with his shins, and later Hughes squared the ball to Kevin Moran, who somehow miscued wide from six yards with the goal at his mercy. But Seafprd's opener in first half stoppage time was merited on the balance of play. Dolan was yet again chopped down, this time by towering centre back David Fitzgerald. From the resulting free kick, Dolan found O'Huiginn, and although his square ball seemed to take an age to reach Jim Nolan at the back post, the young fullback kept his nerve to drive a powerful strike at goal, even if it needed a ricochet off a defender to find the back of the net. Although the early part of the second period was notable for some scintillating combination play from Seaford, between Dolan, Connolly and Shelton in particular, the introduction of substitute striker Vincent Odia, threatened to turn the match in Terenure's favour, his powerful running unsettling the home defence. But it was another muscular substitute, Neil McCormack, who made it 1-1 just after the hour mark, bludgeoning his way through the home defence before lifting the ball over English and bundling the ball into the net despite Nolan's attempts to clear. At the point, the match hung in the balance. O'Neill's super saving tackle denied Odia, and from the resulting corner Victor Odria headed straight at English from close range. The breakthrough, however, came from the game's outstanding performer. Following Nolan's infield dribble from the left, Dolan pounced on a deflection to spin and slot the ball past Gallagher. And five minutes later he produced the most memorable moment of the match. From Stephen Faherty's punted clearance, Seaford's Lilliputian number 10 agitated amongst the giant purple limbs of CY's defenders. Snaffling the ball with his back to goal, he spun and in the same movement lifted an inch-perfect chip over Gallagher and into the net to make it 3-1.. 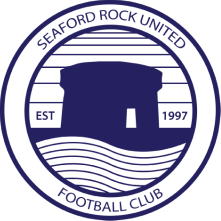 There ought to have been further goals - Seaford sub Mark Sullivan missed a one-on-one chance, before Odia missed a one-on-none after rounding English - but in truth it was only fitting that man-of-the-match Dolan had the final say.with his magical goal. CYM Terenure: R Gallagher, D Drislane, B Reynolds, F Moran, P Fitzgerald, N Merrihan, N Delaney, E Mansuk (T Nealon, 70), V Odria, K Moran (V Odria, 46)), R Hughes (N McCormack, 60).